Bath's World Heritage Enhancement Fund has undertaken over thirty projects city-wide, often in partnership with other organisations. These projects, designed to 'enhance the World Heritage Site', have been concerned with restoration, conservation, education and interpretation. In an ongoing programme, historic incised and painted street signs are being restored on buildings in the city. Many of these signs, cut into Bath Stone building walls, have faded due to weathering and pollution. The finished signs are clear to read and have a smarter appearance. Before and after photographs of the sign at Axford's Buildings are below. This project is one of many initiated by the Fund that utilises traditional craft skills. The ancient bank and ditch earthwork known as the Wansdyke runs partly along the southern boundary of the World Heritage Site. There was consensus about the need to interpret and protect the landmark better, as it had suffered from general neglect and the dumping of waste. 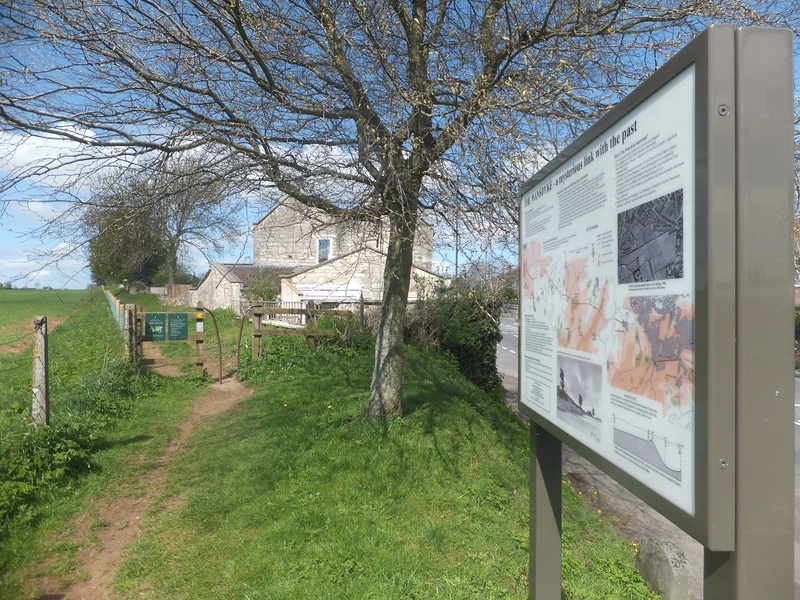 Working in partnership with South Stoke Parish Council, local ward councillors and Bath and North East Somerset Council's Heritage Services, interpretation boards were researched, designed and erected to mark the Wansdyke. Futher details of projects undertaken in the last few years are described in the annual newsletters of the Enhancement Fund.